Read more details about Army and Navy Academy on their 2018-19 profile page. Activities During Boarding School During my four years at the Academy, I was involved in several different activities. I participated in three sports for four years. (football-fall, wrestling- winter, track and field-spring). In addition to my athletic obligations, I also participated in a variety of clubs and other activities including : The Navy-Marine Club, National Honor Society and Key Club and in the High School Marching band as a percussionist. In the JROTC program, I achieved a variety of leadership positions; in my senior year I was one of the highest ranking cadets on campus as a Cadet Captain. My position, as the Public Relations officer, gave me the opportunity to work closely with the marketing and development departments as part of my day to day life. This experience was beneficial because it gave me a lot of insight into how marketing and development playing into the running of a school. The Army and Navy Academy is unique in the fact that JROTC in a mandatory component of education. This makes for a solid foundation on which the school's main principle of character development is based on. The other unique item is the small class sizes and individualized attention that each student gets from the teachers. The students can either go to see teachers after school to get help of their own free will or they can mandated to go due to various reasons. The best thing that happened to me was during the graduation ceremony I was awarded a medal from the Association of Military Colleges and Schools of the United States (AMCSUS). No one, not even I, knew that I was going to receive it. I was genuinely shocked and surprised over it. I received a lot of awards for my various activities on and off campus, but the AMCSUS one is the one I am most proud of. I also was a Silver A recipient, which is the highest honor the Academy can give a student. I grew, both socially and academically, very much at the Academy. I owe everything to both the Academy and my parents for sending me here. I got into a top California college for Biochemistry because of the hard work I put in at the Academy. If I could go back and change something, I would have taken one or two more AP classes to challenge myself more and push myself harder. I would have also liked to have been a boarding student for another year or two because I enjoyed it so much my senior year. I liked the academics the most because I learned a lot and had amazing teachers. But the social opportunities are a close second because of all the friends I made and different cultures I learned about and people I got to interact with. To any incoming or prospective students, I want to leave you with a few parting words. Go into the Academy with a good attitude and you will have a much better time here. Try new sports and activities. Interact with people outside of your comfort zone. Become involved in every part of the Academy and enjoy your time here. The average class size is about 15 students per one teacher. There are a wide variety of classes for students to choose from. Different Advanced Placement and Honors courses are available to students if they are interested in that. The environment is very competitive but friendly at the same time. I was always a very good and diligent student during my time at the Academy. The attention that the teachers would give you if you needed it was phenomenal and very helpful. Other students are always willing to help you if you struggling in a particular class. It helped to prepare me for college by having a fair amount of emphasis on tests, just like many college classes are. The Academy offers many sports. Football, water polo and cross country in the fall. Basketball, wrestling and soccer in the winter. Baseball, golf, tennis, swimming and track and field in spring. The athletic program at the Academy is very strong. Cadets are encouraged to play at least one sport or are required to participate in Physical Training. As with the teachers, coaches give individualized attention to cadet-athletes. One of the benefits of attending a small school, is that you have the ability to participate in nearly any sport you choose. I picked up wrestling my freshman year and was taught well by my coaches and kept it up for all four years. You may not expect a military academy to offer performing arts programs, at least not ones that allow you to perform in for of thousands of people- multiple times throughout the year. I was involved in the Marching Band at the Academy. The program has grown vastly in the last 3 years. By my senior year we were 60 men strong. My most memorable experiences include Memorial Day 2011, in Washington D.C. for the National Memorial Day Parade performing on the deck of the USS Midway on April 1st, 2012 and the National Anthem in Petco Park on May 17th, 2012. We owe all of our success and exposure to our bandmaster. Richard Nunley was a Marine Corps Gunnery Sergeant and a Drum Major for a Marine Corps band. The band is still growing and looking for new members annually. The Academy offers many different extra-curricular activities. From the sports I outlined above, to the multitude of clubs offered to cadets on campus. We are offered different volunteer service clubs, academic clubs and general interest clubs. 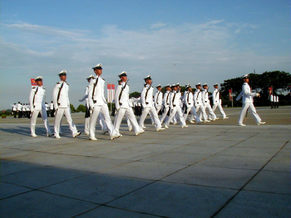 Cadets are obligated to join at least one club a year. In addition to that, we also have mandatory community service projects. For the Junior and Senior classes, we participate in the yearly Scripps Ranch Hospital Emergency Disaster drill in November. Sophomores put together care packages for servicemen and women overseas. Freshmen organize food drive on a yearly basis. We are all very involved in the local community. I was only a boarding student for my senior year. I enjoyed it a lot more than going home on a daily basis. The rooms are set up sort of like a college dorm. A bed with a desk under it with a desk light, closet space for uniforms, and a set of dresser drawers that can be locked. Rooms are assigned, for new students, according to each cadet's interests and preferences. Returners are allowed to pick their roommate as long as the choice is approved by the Commandant and Residential life officer. If there is a problem with a roommate arrangements can be made for students to move rooms. Cadets are put into Companies. Companies are broken up by grade level. 7th and 8th graders are in one company. 9th graders are in another. 10th and 11th graders are spread out among three different companies. 12th graders have their own company but they also occupy top leadership roles in the other companies. The cadets in each company live together and bond all the time. The Residential Life Officer is an adult male that is put in charge of a company of roughly 60 cadets. The Residential Life Officer mentors and guides the cadets during the year. He also monitors academic and disciplinary records. He makes sure that the cadets are where they need to be, when they need to be there. The mess hall offers a wide variety of meal choices. The meal cost is included in the tuition. Cadets are encouraged to eat three meals a day. Breakfast is open from 6:30 to 7:30 in the morning. Lunch is from 11:25-12:20, with a formation beforehand. Dinner is from 5:30-6:30 in the evening. Each meal has different options. Breakfast has some sort of eggs, meat and potatoes with a cold cereal bar, hot cereal choice, fresh fruit and yogurt bar, and toasting station available. Lunch and dinner each have a hot option, a vegetarian option, fresh salad bar, sandwich making bar, and dessert options. Cadets are allowed to order food from various places in the local area. During the week, typically on Thursdays, cadets are allowed to go out into the local area for a few hours and enjoy the city of Carlsbad. The cadets are very respectful and polite to all of the towns people and they return the respect back to us. 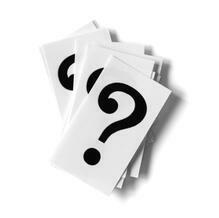 More days can be earned either for having good behavior or by having a high leadership position. The city of Carlsbad is a very nice city to walk around and enjoy. The people are very polite and know the cadet uniform. So they can spot us right away in a crowd. I had a lot of positive interactions with other cadets during my time here. All cadets are very friendly and social. I made a lot of new friends over the last four years. I still maintain contact with some of them and plan on visiting them. We find all sorts of things to bond over. From tastes in music to what classes we are interested in among other things. With the boarding school environment, people that wouldn’t interact in a public school setting are being very open and social and interacting outside of their comfort zones. The Army and Navy Academy is unique in the fact that JROTC in a mandatory component of education. This makes for a solid foundation on which the school's main principle of character development is based. . . The Army Navy Academy provided a uniquely structured environment where the self limiting influences of public school are removed so that each individual can rise to their ability. I quickly shed my fear of. . . 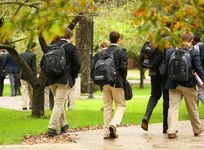 Vast majority of students attend because they want to be there, not as a "reform school" where parents "ditch" them.Outstanding male roll models who show deserved respect and award scholastic and disciplinary achievements. . .